In the last decade, Germany has had an active debate about the future of its universities, with many lamenting the fact that German universities are not considered among the world’s elite institutions by anyone’s measures (see: NYT, Spiegel, DW). While this has led to a large outpouring of federal money directed at a handful of institutions, something about this top-down approach–“we hereby deem thee to be elite”–has struck me as out of step with how other universities have achieved their status. It is all very neat and tidy as well as centrally controlled. Needless to say, there are plenty of critics in Germany who point out the many flaws in such a system. Reading that article made me think back to an encounter I had with my boss while working at Yale, a university that by anyone’s definition qualifies as elite. In fact, when I worked there, I often saw or heard of German delegations (including a reporter from ZDF) on campus to capture the Yale magic (step number one: amass insanely huge endowment …). At any rate, I was commenting on the pervasive arrogance at Yale when my boss pointed out to me that the only true elite at Yale, i.e.- those who had emerged victorious from a brutally competitive process, were the undergraduates. Graduate students and faculty are selected through other processes which are decidedly less meritocratic, as anyone with a passing knowledge of the behavior of private universities and, in particular, the Ivies knows. It was a simple point, but he is correct. 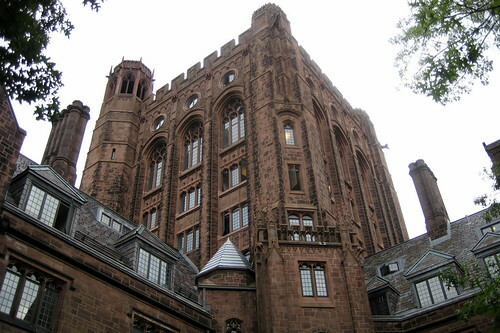 Excellence in higher education starts with the first semester, and the experiences that students get at Yale, and a host of other “elite” undergraduate institutions, of which the US has a surfeit (Oberlin, Williams, Stanford, Chicago, and on and on), are vastly superior to any German experience. Germany certainly has outstanding undergraduate students, not least since their secondary schools are often rigorous, but the conditions and programs that they encounter when they hit the university are a far cry–light years, to be fair–from those that exist in the United States and perhaps elsewhere. It is not glamorous, nor can one slap the label “excellent” on it and parade it in front of politicians and the press, but if Germany wants to challenge the elite universities of the world, then the place to start is with their undergraduate programs. This requires creating systems that reward excellent teaching, place limits on class sizes, and evaluate the outcome of classes, for starters. Beyond that, it requires better computing infrastructure, improved library services, more sophisticated student management systems, and so forth. This is complicated and tedious work, but the situation will not be fixed by a box of DFG Band-Aids. well put, very well put.